Wesco Farm Products was founded in the mid 1990’s in the small North Canterbury town called Cust. 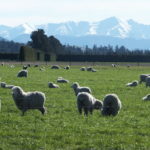 After years of experimenting with perennial ryegrass, Wesco Farm Products expanded into a pasture seed production and was renamed Wesco Seeds Ltd. We purchased our own seed cleaning plant, the sales blossomed into a trading, distributing and marketing business connecting with large seed dressing organizations throughout New Zealand, Australia, Europe and America. 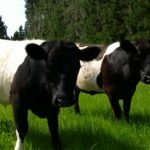 At Wesco Seeds Ltd we are proud to offer an excellent range of grass seed and grass seed mixtures. From Perennials, Italians, brassicas, clovers, horse pasture mixtures and many more options, we sell over 100 grass seed types and offer 33 different seed mixes. 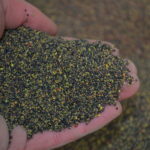 We also customize seed mixtures to specially suit your farm and its climate. Name it and we’ll mix it! Not only does Wesco Seeds supply to the farming industry but we also stock a wide range of turf grasses for park lawns and residential lawns. Today Wesco Seeds Ltd is a flourishing retail and wholesale seed corporation operating in the central-eastern parts of the South Island in New Zealand. We deal directly with farmers, seed re-sellers, rural retailers, vineyards, orchards, district councils and landscape corporations growing seed on contract. Wesco Seeds Ltd are always looking for an opportunity to satisfy our customer’s needs and is committed to providing the best technical advice and the highest quality seed available, to enable farmers to achieve their production requirements. Our investment in seed treatment and mixing facilities further adds value in supplying the highest quality products to our customers. Wesco Seeds Head Office is situated in North Canterbury, South Island of New Zealand. This is where we test our seed products, mixtures and fertilisers. We have our seed cleaning and mixing plant, large bulk seed and processed seed storage sheds and offices.